← It’s about to get easier!! God Will Do For You What You Cannot Do For Yourself! I wish that I had the time to share with you how many times in my life that I’ve found myself at an “impossible obstacle”. God will say, “Go this way.” and I will proceed only to come upon an impassable mountain. He is the God who put Noah and his family in an Ark when no rain was in the forecast, He is the God who parted the Red Sea when Pharaoh’s army approached, He is the God who made the lame walk and the blind see and He is the God who raised Jesus from the grave! He is the Resurrection and the Life!! Your mountain and obstacles are not a blockage but part of the story and testimony of His goodness! It is where God confirms His word and promise to you. What do you do when you come upon the impassable and impossible mountain? You trust, you worship and you rest in who He is! It is then that God comes and does for you what you cannot do for yourself. I remember one of our impossible moments when God had asked our family to move to another country. We received confirmation and proceeded to prepare for the move with our four children. As the time approached for the big move our house (with a large mortgage) had not sold, support had not been raised, visas had not been obtained and even people close to us began to think that this was a sign that we should not move forward. God said to us, “Go and I will provide.” We went and every step of the way God miraculously provided what we could not do or provide for ourselves. We are facing another mountain, another impossible as we go into the New Year. God will once again do what we cannot do for ourselves! He will do this for you too. It most likely won’t come in a way that you can think of but will surprise you. It will be an Ephesians 3:20 moment where God does more than you can ask or imagine. I will share one more story from our time living outside of the the USA. Our family kept having temporary housing and after two years of a lot of moving we received a call from a local physician who lived in a beautiful home that overlooked a lake and he offered us his five bedroom, three bath beautiful home for our family to live in at a extremely low monthly rent. God put us in a wealthy neighborhood, provided new furniture to furnish it with and it was a “beyond our imagination” moment. It was an Ephesians 3:20 gift for our family because He is a good, good Father!! 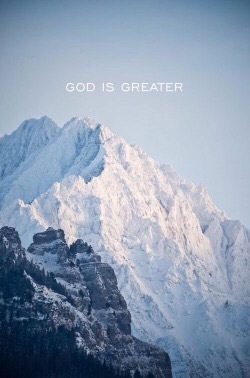 If you are ending the year facing a mountain then remember that you are facing it with the One who moves mountains! We live on a piece of land where tall trees have needed to be removed but two of our sons work with arborists. We don’t look at the trees as obstacles because we walk with arborists. It is the same with you!! You don’t have to look at your mountain as an obstacle because you walk with a mountain mover! Nothing is impossible for you!! Thank you to all of those who have supported us through 2016! We pray and are declaring Ephesians 3:20 upon every aspect of your life! It’s not too late to send an end of the year donation to support our ministry. Thank you! Be blessed and may your mountains be moved!! Thank you so much for these stories. I love them. How is your daughter? I’ve been praying for her. She is hanging in there. Believing for a miracle!